Deciding how to staff and manage an IT department is something many business owners struggle with. Going with an in-house IT person can feel comforting, but it’s rarely the most effective solution. 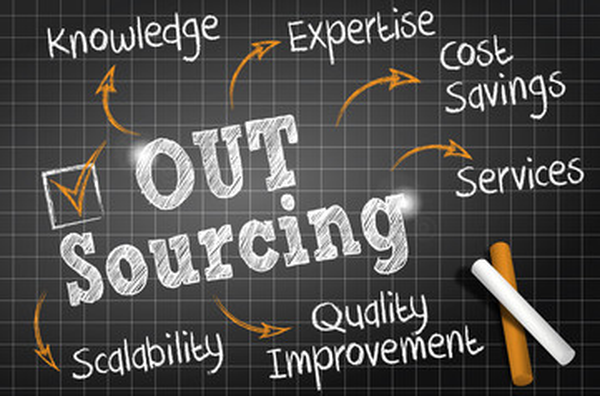 Another option for businesses to consider is outsourcing their IT support needs. In today’s day and age the benefits of using an MSP (managed service provider) over an in-house IT person are quite significant. The most common question is what are MSPs exactly? Well, MSPs are companies that deliver IT support, deployment, consulting, and other technology related services to local businesses. Here are the top five benefits for switching to a managed service provider rather than having in-house IT team. Most organizations with in-house IT personnel must focus their staff on putting out fires. Working with an MSP gives a business the opportunity to be more proactive, letting them focus their IT staff on innovation and revenue-generating activities. The MSP can handle mundane tasks such as help desk tickets and system monitoring while the IT department focuses on the organization’s long-term development and goals. Rather than having to pay a dedicated IT team regardless of how often they are needed, an MSP allows an organization to only pay for the hours of IT support they actually need. MSPs are often more affordable than keeping an on-premise IT team and don’t require that the employer invest in benefits or training. Consider not having to pay for employee vacation time, payroll taxes, health insurance, etc. An MSP also can’t call in sick. A managed service provider is able to interface with vendors on behalf of a business, ensuring that operations run smoothly and working as an advocate and assistant for any issues that the business encounters. This becomes increasingly critical for organizations who work with extensive third-party applications. The MSP thus begins to operate as a simple first point of contact for any troubleshooting and administrative issues. Your business benefits from scalability in your MSP relationship in other ways as well. You get access to a skilled, professional team, at just the level you need. Hiring a full-time or even part-time in-house IT person may not be the right fit for your business. The nature of your IT infrastructure may mean you only need service a couple times a week. Or those needs may mean it’s not cost effective to invest in expensive IT support tools or the necessary training to use them, which is often the costliest part. Perhaps your business goes through seasonal swings and you need different levels, or types, of IT service at different points in the year. Retaining full-time IT staff during your downtime, or alternatively going through repeated hiring cycles, can be very expensive. An MSP comes complete with a diverse staff of both knowledgeable and specialized employees. With an in-house IT team, it’s usually required that a business instead hire a generalist or a few broad spectrum IT team members to cover all of their needs. An MSP allows for a business to quickly connect with security, network, and other enterprise specialists on the fly. Is Versa The Right IT Support Team For Your Business? Some business owners can be concerned about having their business’s technology managed by an external team. But many find that outside perspective becomes one of the values provided by working with an MSP. You get their insights seeing your business from a different angle, and from working with other area businesses. These are insights you may not get using an in-house IT person whose perspective is limited just to your business. Every business has unique technical needs and that means every business needs to find the right, unique IT support team. For many, that means contracting with a reputable managed IT solutions provider. See if Versa is right for your organization. Say hello to us anytime!